How Will You Spend Your Tax Refund Check? Once again, most Americans expect to get a tax refund check, and more than a third of them plan to spend some or all of it, according to Capital One Bank’s annual Taxes and Savings Survey. But this is one year in which spending your refund check wisely – or foolishly – could have long-lasting ramifications that linger throughout 2013 and beyond. The Capital One survey found that the vast majority of Americans (65%) don’t even calculate their tax refund or tax payment into their annual budget. This isn’t smart financial planning – especially when the IRS says the average refund check in 2013 will be nearly $3,000. According to IRS data, the average federal tax refund in 2012 was $2,803. 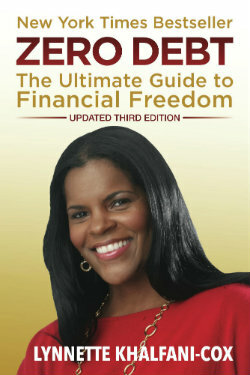 In total, there were more than 110 million income-tax refunds totaling $309.6 billion paid last year. So what are people doing with all this money? 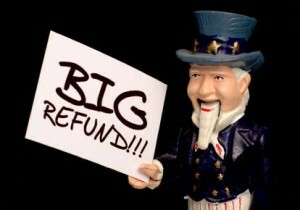 More than a third (35%) plan to spend all or part of their refund in 2013, according to Capital One’s survey. Roughly one in four people (22%) say they’ll use their refund to pay down debt. And only a total of one in five Americans (20%) will save or invest their tax refunds, including 16% who are planning to save and 4% who intend to invest the money. For those of you looking forward to a shopping bonanza, a word of caution is in order before you splurge. Remember that by saving a greater portion of your refund check – instead of blowing it – you’ll have more cash in your pocket to help tide you over in 2013. That means more money to pay bills, cover necessities like food and transportation costs, or deal with unexpected emergencies that may arise. Already, most Americans need a little extra money because they’re feeling the pinch of the payroll tax holiday, which went away. As a result, the average U.S. household is paying about $2,000 more in taxes this year than was paid in 2012. So prudent use of your federal income tax refund could offset the financial squeeze you may be experiencing due to the payroll tax. Using your income check wisely could also help you achieve long-term objectives, like knocking out credit card debt or reducing student loans. Those credit card bills may be lingering remnants from your holiday shopping or they may even be old balances that you’ve been carrying around for years. Likewise, your college debt may be years’ old and you’ve only been chipping away at it little by little, making minimum payments. So pause for a moment and consider how a tax refund of about $3,000 could decrease your future financial stress by eliminating some of your outstanding bills – in 2013 and in years to come. Besides, using a tax refund responsibly, and paying off debt is a move you’ll probably never regret. The same can’t be said, however, for going out and spending a refund check on luxury items or non-necessities. If you do that, more likely than not, you’ll wind up kicking yourself and wondering just how and why you blew a $3,000 windfall – especially if you later have little or nothing to show for it.